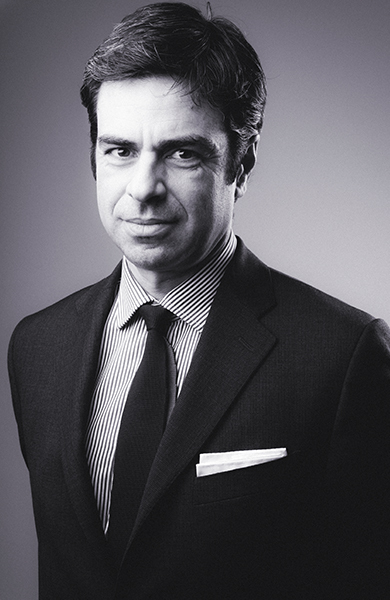 Nicola Romano, avvocato in Milan, is a partner of CastaldiPartners. Nicola Romano is one of the reference persons for the firm’s International Arbitration and Litigation & Mediation practice. He has advised in connection with a large number of litigation matters in a wide variety of areas including first-demand guarantees, comfort letters, recognition of judgments and arbitral awards, procedures for obtaining evidence, tenders and construction contracts, distribution and agency agreements, unfair competition, directors and executives termination of employment, infringement of exclusive rights and non-compete agreements, enforcement proceedings, interlocutory injunctions, and seizures. Before joining CastaldiPartners, Nicola Romano worked at Gardner Carton & Douglas in Chicago advising Italian companies in the US and also at Zambrano & Associati in Milan, Nicola is an employment law specialist, having a particular interest in employer /employee relationships. His working languages are English and Italian. Advised in connection with Italian letters rogatory to obtain evidence in an American bankruptcy procedure. Advised an African bank in connection with the enforcement of bank guarantees against an Italian bank. Advised an Italian company in compensation proceedings for damage to reputation and image against a French multinational. Defended an Italian manufacturer of agricultural machinery against a request for payment by a comfort letter. Dealt with an interlocutory injunction in Bahrain concerning the supply of materials for the construction of a petrochemical plant. Advised a hotel company in the resolution of a dispute relating to real estate development in Yemen. Advised the Italian subsidiary of a French real estate group in connection with an interlocutory injunction relating to the construction of a shopping centre. Advised an Italian company with regard to the termination of a supply contract with its Portuguese distributor. Advised a French group in a legal action for employee embezzlement and unfair competition. Advised an Iranian company in commercial agency litigation against an Italian company. Advised an American company in the procedure of recognition and enforcement of an ICC arbitral award. Advised a major Chinese silk producer in the definition of an agreement for the supply of goods to a major Italian company that had entered into a composition with creditors. Advised a French tour operator in legal proceedings challenging the renovation works of a tourist village. Advised a Russian investor in connection with the purchase of a building to be converted into a hotel. Advised in connection with real estate development transactions for an United States listed fund in. Advised an Asian operator in connection with the development of a project relating to the construction and management of a hotel for. Member of the organizing committee of the second conference on private international law organized by IBA Litigation Committee and entitled The 2005 Hague Convention on Choice of Court Agreements: New Perspectives inInternational Commercial Dispute Resolution (2016). Moderator of the seminar Obiettivo Francia: la protezione dei rapporti commerciali. Strumenti contrattuali e rimedi giudiziali (Fondazione Forense Bologna, 2016). Speaker at the Global Legal Skills Conference, held at the Faculty of Law in Verona and Palazzo Trissino in Vicenza (2014). Contribution to the Judicial Integrity Initiative report (IBA Litigation Committee, 2016). Contribution to the Multi-Tiered Dispute Resolution Clauses abstract (IBA Litigation Committee, 2015). Conflict of Interest: Recent Changes in the Italian Rules of Conduct for Arbitrators (Arbitration News, 2012). Enforcement of Foreign Judgments in Italy (International Law News, 2007). The John Marshall Law School, Chicago.